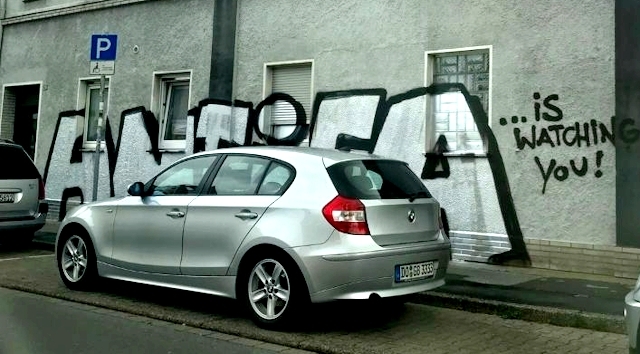 In Germany, the town of Marten has been plagued for months by Nazi Graffiti of various kinds, all with the same tag. After the miscreant's arrest (and release, pending charges) last week, he was identified as Marcel Schäfer, and so some local Anti-Fascist activists decided to pay him a visit - and graffiti-bombed his house. A superb, non-violent response, in kind. Perfect.